Every year, many Illinois residents waste money without even realizing it. Adding up by small amount every day, the costs won’t become apparent until you look at your energy bill. While your home may be an excellent place to live, it may not be optimally set up to retain heating and cooling. As a result, your energy bill may be significantly higher then it has to be. So, what should you do? Well, more often then not, the windows are to blame. If your windows are older or have not been recently replaced, then they can be the leading cause of energy loss. What you should consider is getting vinyl windows. A purchase for your future, you will be able to make up the money in the coming years. So, how do vinyl windows work and show can you trust to install them correctly? Lets find out. Vinyl windows offer a number of advantages where other windows can’t compare. Vinyl windows are significantly better at keeping interior temperatures from leaking out, while also dramatically reducing noise pollution from outside. Every vinyl window is easy to clean, is resistant to termites, does not suffer from condensation, and is recyclable. All of this together makes them one of the lowest maintenance windows out there. Along with decreasing the cost of your energy bills, vinyl windows will increase the value of your home as they are seen as an investment. 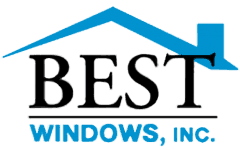 Here at Better Windows Inc., we specialize in windows and patio door installations. 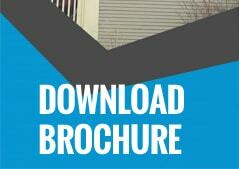 Our dedicated team of professionals have worked on homes in and around the Cicero area, developing the techniques and skills to handle your window installation. Having won Angies’ List Super Service for the past four years in a row, we take pride in our fastest delivery, best warranty, better products, and focus on customer service. Our success comes from the community we serve. We know that our reputation is only as good as the service we provide for you, and we will work with you from beginning to end to ensure that the service you receive is top notch. If you would like to learn more, then please contact us at (708) 204-2446 or fill out a form on our website where we will be able to get back to you via e-mail. Visit Best Windows for more information about vinyl window replacement Cicero IL.